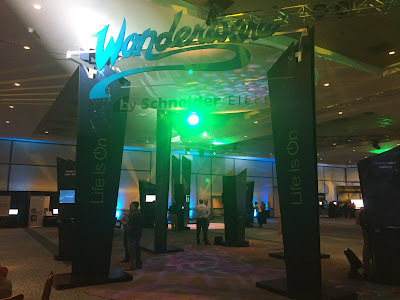 The first two days of Wonderware user conference in Orlando saw a lot of activity around new product and service announcements as well as discussions about industry in general and emerging technology trends. Executives at the conference unveiled Schneider Electric's Software vision for its HMI/Supervisory, Information and Analytics, and Operations and Assets products. A universal automation configuration tool that works across virtually any PLC, RTU or HMI in real time. It's a requirements gathering environment where you can create detailed specifications and auto-generate PLC code and HMI configurations from it. In other words, it's a high level, visual language for programming controllers that can connect to any platform. The software can be used to create and connect everything in a control system from communication specifics and I/O configuration to tags. "Prometheus can seamlessly communicate with any number of automation devices regardless of the supplier platform, whether it be Siemens, Rockwell, Schneider Electric or even Linux. The key to Prometheus’ interoperability is its communication via XML. All the information for what the controller, HMI or MES needs is packaged up in Prometheus and output to XML where we can apply a post process loader written in any language"
Read more about Wonderware Prometheus here. 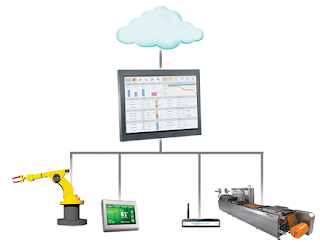 The next-generation of HMI/SCADA management with multi-site management. Wonderware System Platform will be renamed InTouch Omni to reflect its evolution into an IT/OT convergence platform. Read more about InTouch Omni in AutomationWorld article titled 'Schneider Electric's Software Vision'. Wonderware Online InStudio is a secure cloud-based, menu-driven platform for system integrators and end users that revolutionizes the tools, processes, and collaboration of software project development and management. It allows engineers and users to create a more proficient and user-friendly design together in less time with faster adoption and wider acceptance for a lower overall project cost. It improves time to market, eliminates upfront hardware project costs, ensures accuracy of system design, and extends collaboration between developers and users. Read more. Read about what's new in OI Servers, InTouch Machine Edition, Wonderware Historian Insight and Wonderware Intelligence in this short article by AutomationWorld. For more information about the latest updates to Wonderware Historian InSight and Wonderware Intelligence , you can refer to another article, Putting Data Into Context. The Value of the Digital Age Lies Within the AppsSchneider Electric expands its portfolio with cloud-based collaborative software, closed-loop IIoT offerings, industry-specific apps, and a universal automation configuration tool. Seamless migration from InTouch to System Platform. Jeremy Warenzek and John Marchant of system integration firm Automation Now discuss the migration from Wonderware InTouch to Wonderware System Platform at the City of Thunder Bay, Ontario, Canada, water treatment plant for improved operator situation awareness. Watch the video for more details.